Chinese authorities are well aware how governments and bar organizations around the world feel about their fierce crackdown on human-rights lawyers. 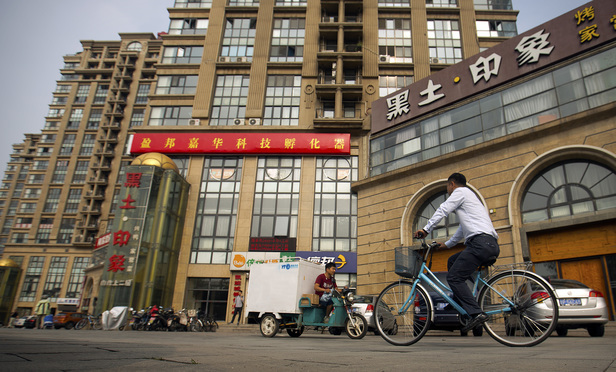 But the country’s commercial lawyers—including international firms active in China—have been relatively quiet. Why so? The American Lawyer reports. Lawyers at Beijing’s Feng Rui Law Firm (right) have been detained by China’s government. (AP Photo/Mark Schiefelbein). In the spate of arrests, which began on July 9, more than 200 Chinese human rights lawyers and associated staffers have been detained by the Chinese government, with more than a dozen still in custody at press time. The global firms’ lack of public response highlights a split between commercial lawyers and weiquan, or rights-defending, lawyers, who are usually criminal defense attorneys for the disadvantaged—dissident intellectuals, reporters, lawyers and civil rights supporters, but mostly ordinary Chinese citizens engaged in disputes with government.